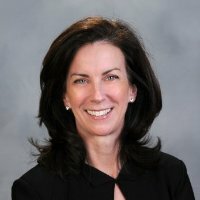 Kathleen DeRose joined New York University Stern School of Business as a Clinical Associate Professor of Finance in September 2017, after having been an Executive-in-Residence and adjunct professor at the School since 2016. Kathleen is the Director of the FinTech Initiative at the NYU Stern Fubon Center for Technology, Business, and Innovation. She teaches courses in Foundations of FinTech and Entrepreneurial Finance and spearheads FinTech initiatives at Stern, including FinTech curriculum design, FinTech joint research projects with industry and FinTech events. She has also taught courses in FinTech and Global Investing at NYU Shanghai. Professor DeRose serves on the board of Evolute AG, a Swiss wealth technology company. She is a Chartered Financial Analyst (CFA). Her primary areas of interest include FinTech, entrepreneurial finance, asset and wealth management, portfolio management, lotteries in financial decision-making and as public goods funding mechanisms, and China’s political economy. Before joining NYU Stern, Professor DeRose was Global Head of Investment Process and subsequently Head of Strategy and Solutions at Credit Suisse, a founding partner and head of Portfolio Management and Research at a New York hedge fund, a Managing Director and head of large capitalization portfolio management at Bessemer Trust and a Managing Director and portfolio manager at Deutsche Bank (successor to Zurich Insurance and Scudder Stevens and Clark). She began her career as an investment analyst at Chase Manhattan Bank (now JP Morgan). Professor DeRose received her B.A. degree in American History from Princeton University; her M.B.A. degree from the NYU Stern, Ecole des Hautes Etudes Commerciales de Paris (HEC) and the London School of Economics combined (TRIUM) program; and a M.Sc. with distinction in Contemporary Chinese Studies from the University of Oxford, where she received the Humphrey Ko prize for best master’s thesis in her graduating year.